I love the pride and confidence that comes from doing something well. For instance, I’m a good writer, and I feel great satisfaction when I produce something that people enjoy. 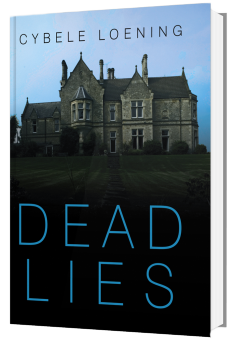 Like my book Dead Lies, which recently earned an awesome review. That not only felt great, but it reminded me that when I write I am in the flow. I enjoy it partly because it comes to me so naturally. But I recently learned it’s sometimes fun to do things we aren’t good at. 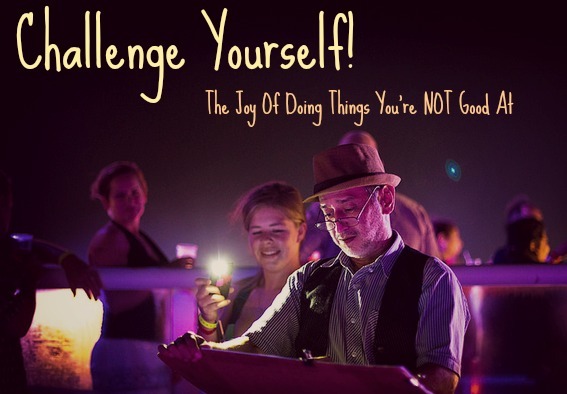 The joy is in the challenge. Many of you know that in addition to writing books, I am passionate about architecture—residential architecture specifically. I love houses, and I design floor plans as a hobby. One day I hope to design and build my dream house. My twin sister Alexandra is also a design geek. She’s designing her own dream house right now and plans to break ground sometime in the next few years. But when she called and asked me to take a class with her called “Architectural Freehand Drawing,” I was extremely hesitant. Because I don’t draw. People, animals, flowers and exteriors of houses, I mean. Believe me, I’ve tried. 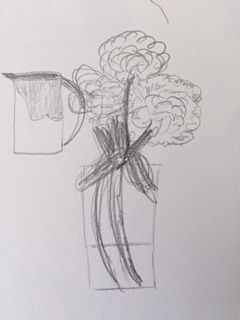 At the suggestion of a very talented painter friend, I once bought a copy of the classic book Drawing On the Right Side of the Brain and attempted some of the exercises. But I quickly grew frustrated because my people looked like stick figures and my animals looked like the work of a 7-year-old. A few chapters in, I gave up in disgust and put the book on the giveaway counter at the Transfer Station. But I went ahead and signed up for the class anyway because, hey, I love my sister. I love a challenge. And it was being held at the fabulous Yestermorrow Design and Build School in Vermont. Who wouldn’t want to spend a long summer weekend in gorgeous green Vermont? We purchased our supplies—artist’s sketchpads, graphite pencils, erasers—and arrived eagerly to class. Suddenly the day seemed filled with possibilities. My attitude was, Well, maybe I’ll learn something, maybe not. Whatever happens, I’m just going to have fun. And that’s what I did. I would draw the objects the teachers set up on a table in the front of the room, like a milk pitcher or a vase filled with flowers. I tried not to sweat it when it inevitably turned out looking awkward, distorted or amateurish. I wasn’t getting graded, after all. It was a lovely feeling to just turn the page and attempt something else, having absolutely no vested interest in getting it right. I was taking on a challenge. I was just trying and that was enough. Off to a shaky start: This is a milk pitcher on the left and a vase filled with peonies on the right. Even though the days were long and I occasionally got frustrated, I persisted. I was fascinated by the techniques we were learning, like how to calculate vanishing points (which help establish perspective in a drawing), and how to use heavier pencils to shade aspects of the image that you want to emphasize. I realized an image didn’t have to be copied exactly and you didn’t have to labor over the difficult details. Sometimes you could just draw a few lines that gestured at what you wanted to convey. What I didn’t realize was that even while I was making bad drawings during the first two days, I was actually improving overall. Concepts were sinking in, and I was starting to connect the dots of how a good drawing came together. On the final day, when we went outside to draw “in the field” (i.e. not in a classroom or studio) I realized just how far I’d come. 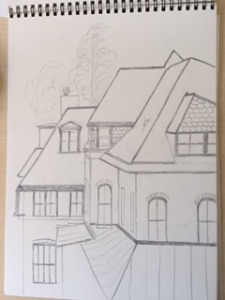 In one of our final assignments we were allowed to draw whatever we wanted, and I chose a beautiful Queen Anne-style building that had caught my interest. 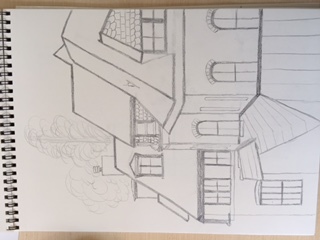 I love rooflines—the more complicated the better—and felt the urge to capture it on paper. We drew for a little over an hour, and I was astonished at how well mine turned out—relatively speaking of course. It was by no means professional, but it was markedly better than any of my previous attempts. And I had accomplished an important goal: to capture the image of the house in a way that the viewer knows exactly what it is. I came home from the weekend flying high. The class had forced me to stretch beyond my comfort zone, and I even learned a thing or two. And while it was no surprise that doing a decent final drawing felt great; I was totally surprised how little it bothered me when I wasn’t doing as well. (And that’s coming from a born perfectionist!). The realization that it can be fun to “fail” made the whole experience worth it. The challenge helped me grow! When was the last time you challenged yourself? What’s something you’re NOT the best at but what to do more? Tell us in the comments! Original photo source: davejodoe on Flickr. Great article! This was so true for me as well. I had to stop thinking about how badly I sucked at drawing and just enjoy the process of taking in new things and stretching my mind. I plan to continue sketching architecture — not because I’m any good at it but because I thoroughly enjoy the process. Isn’t that what life is about? Be Open To The Magic!